The title of this work comes from the moment in the middle of the night when the Sun god Ra, as he passes through the Underworld, is united with Osiris. The book itself is primarily a detailed study of the Old Kingdom Pyramid Texts, the Middle Kingdom Coffin Texts and the New Kingdom Books of the Netherworld. However, the author is seeking to establish a new thesis. 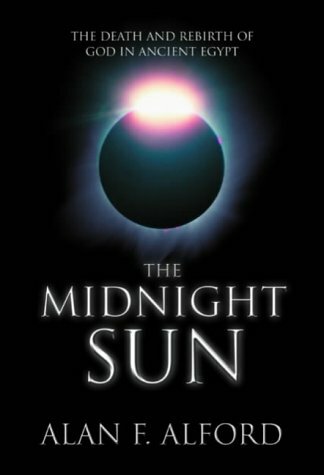 He argues that Egyptologists have mis-represented the religion of ancient Egypt in their portrayal of it as primarily a sun cult. He argues that the creation stories from around Egypt point instead to a view of the cosmos which derives from the earth. It is therefore a geocentric and not a heliocentric system. Primacy attaches to earth gods like Geb or Osiris, while solar deities like Ra really belong to a later stage of cosmic evolution. The argument assumes that the Pyramid and Coffin Texts are not a mish-mash of contradictory and irreconcilable ideas. Rather they point to a coherent and consistent cosmology and cosmogony. Perhaps inevitably, this detailed study makes for a dense and occasionally repetitive read. Alford works systematically through his revised scheme to reconstruct the elements of the creation story, and of the cosmology they represent. It all assumes that, rather like the dismembered body of Osiris, it is possible to reconstruct the ancient myth and breathe new life into it! The pyramids are seen not simply as tombs, but as attempts to perpetuate the cosmos by commemorating the moment of creation. The final chapter is the most speculative, and to my mind the least convincing part. Alford argues that he knows where the body of Khufu was really buried. It was not in the King’s Chamber in the upper part of the Great Pyramid, nor was it in the deep subterranean chamber. Both of these are decoys. Rather it is in the vicinity of the "Grotto" that is found part way down the so called "Well Shaft". This was near to the surface of the bedrock and this fits with the author’s reconstruction of ancient Egyptian physics, their equivalent of the Big Bang. The book itself is provocative and stimulating and the fruit of very detailed study of these complex texts. However, the question remains whether the texts can be made to fit into a single unified system. It was the application to the Great Pyramid that rang some alarm bells, for this reviewer at least. Shabtis (or ushabtis) are, after scarabs, the most common ancient Egyptian object, often turning up in the most curious places – one was even excavated from Roman Republican levels at Alba Fucens in Italy. Most museums have examples, some hold nationally important collections, but others can be found in strange, almost untoward places such as those in the Bibliothèque Nationale in Paris, which also houses the national collection of coins, medals, carved gemstones and some superb Greek vases. The earliest shabtis entered the French royal collection in 1727, possibly earlier in 1680, and the last in 1906 – the major collection being in the Louvre. Eighty-four examples in the Bibliothèque Nationale are catalogued here, illustrated in three views and with their inscriptions drawn out: there are also twelve forgeries included, noted as such (of especial interest, since some can be traced back as far as collections in 1756). 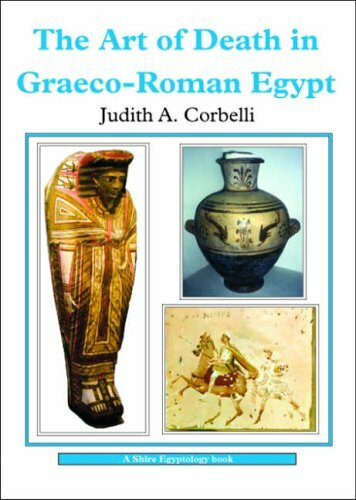 The introductory texts includes a history of the shabtis in the collection, and a detailed history of Egyptian shabtis; the main categories with illustrations then follow. The background history of many of the specimens, the location of other examples in museums and trade, and their provenances, where known, all add to the interest of this small collection. 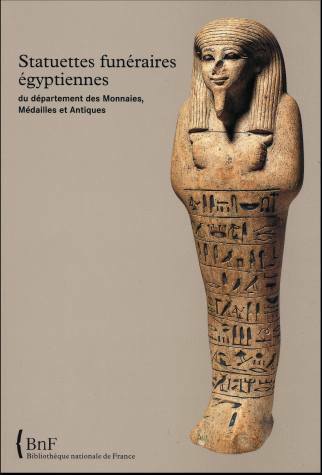 An interesting detailed Appendix lists shabtis once in the collection of the Départment des Monaies, passed to five French provincial museums, and then subsequently returned to the storerooms of the Louvre. This is an exemplary publication that could easily be missed, but it will be of interest, and should be bought, by anyone with an interest in shabtis. Published by Bibliothèque Nationale de France, Paris, 2005. Two New Titles from Shire Egyptology The excellent series of Shire Egyptology books has now been increased by two new titles, which for the first time have colour illustrations throughout. The Shire publications may be small but they are all packed with excellent information and cover a wide range of topics. They are all an excellent starting point for anyone interested in their subjects, especially the two titles reviewed below. The movement of people from Western Asia into the Delta area of Egypt from 1782 BC resulted in a period when Egypt was dominated by foreigners, portrayed by later Egyptians as barbaric atheists, but who nevertheless contributed greatly to the rich tapestry of Egyptian history. This, known as the "Hyksos Period", is often overlooked or given only brief mention in books, but modern research and recent excavations in Avaris have revealed a great deal about the inhabitants of this Hyksos city and their times, much of which is included in this small volume. Chapters cover: the Rise of the Hyksos; Settlements; Religion; the Hyksos Contribution to Egypt; and their Final Expulsion by the princes from Thebes and the kings of the Seventeeth and early Eighteenth Dynasties. The book shows how the Hyksos brought their own ideas and culture with them, but how they also adopted and adapted many Egyptian ideas – including the worship of the ancient Egyptian gods, principally the god Set, who was identified with their own god Baal. This was a time when Egypt was increasingly in contact with other Near Eastern and Mediterranean cultures, and the Hyksos rulers in the Delta were in the front line of this contact. It was also a time when new weapons, technology and equipment were being introduced to Egypt from the Levant (e.g. the horse and chariot and composite bows). All of these would ultimately benefit the Theban rulers who were to reunite Egypt and found the great period of Egyptian expansion we know as the New Kingdom. The author concludes that the brief period of foreign occupation by the Hyksos, the military action to expel them and the subsequent fear of future foreign invasion actually made Egypt a much stronger nation. Indeed, it can be argued that without the Hyksos Period, the great Egyptian Empire of the New Kingdom might never have been created. The book is well written and (as with all Shire titles) has a good bibliography for further reading. The illustrations are in the main good, although small images of inscriptions and reliefs (notably the Hatshepsut inscription in the Speos Artemidos and the image of the god Set) do not really work. 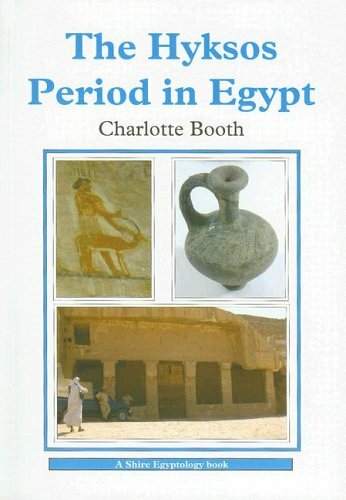 Although this period is still one of the least well know of Egyptian history, the author summarises well, for the general reader, the evidence currently available. The Graeco-Roman Period of Egyptian history has provided many splendid archaeological finds from the nineteenth century right up to today. Excavations on land and in the sea at Alexandria and on the north coast of Egypt have revealed temples and palaces, and work elsewhere in Egypt is revealing much more about life in Egypt under Greek and Roman rule. Although Egypt was ruled by foreigners, it was a time when many aspects of the ancient Egyptian culture were preserved that might otherwise have been lost to us. Some of the most poignant discoveries include the mummy portraits, coffins and stelae from cemeteries such as those at Alexandria, Tuna el Gebel and Hawara. The discoveriy of large numbers of mummies with elaborate gilded masks (often whole family groups), at Bahariya Oasis made headlines, In this profusely-illustrated book (where the introduction of colour by the publishers really is useful), the author looks at the changing styles of funerary art. She examines the sometimes strange and fascinating mix of cultural and artistic styles that developed as ancient Egyptian art and that of the Classical world met. Chapters cover: Rock-cut Tombs; Loculus Slabs and Funerary Stelae; Sarcophagi, Coffins and Body Cases; Masks and Portraits; Cinerary Urns; and the Historical Legacy. All are well written and illustrated and really help to make sense of the many objects dating to this period that can be seen in museum collections. The mixture of Classical and ancient Egyptian ideas is particularly interesting, but perhaps it is the faces of the ancient dead that fascinate most, from the painted coffins, elaborate mummy masks and particularly the portraits painted on board. Many of these are the closest we will perhaps ever get to real portraits. The fusion of the artistic styles, that of ancient Egypt, Greece and Rome also tells us much about the reality of life in Egypt at this time; it shows how one culture can both influence and be influenced by another, revealing a level of tolerance, understanding and acceptance of new and old ideas that perhaps we do not always exhibit today. This book, an excellent introduction to the subject, includes a glossary of terms (really useful for those unfamiliar with Greek or Roman references), an excellent list of books for further reading and an extensive list of museums where Graeco-Roman objects can be seen. The Amarna Period is always popular and this is a useful look at the reign of Akhenaten and the aftermath of his religious "revolution". The author approaches the subject with critical inquiry, rather than (as is often the case with books on this subject) a repetition of past theories about this period. Published by Cornell University Press. This is an A-Z dictionary with entries for kings, members of the royal family and officials, plus entries for many places and for aspects of ancient Egypt, such as "Funerary Temples", "Jubilees" etc. It works as a dictionary, but not as an easy to read book, as entries from different periods follow one another. You also need to know to look up "Cheops" rather than the Egyptian name "Khufu". Better cross-referencing would have been useful and better illustrations would have greatly improved the book. Paperback, Price 15 euros (excl post & packing). 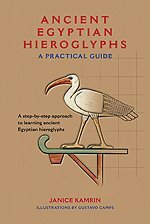 A well-produced and well-illustrated book, offering a step-by-step guide to understanding and learning hieroglyphs, with many practical exercises The author claims that readers will be able to "make sense of simple inscriptions by the end of chapter one: by the end of the book, the reader will be ready to tackle entire tomb and temple walls". Published by the American University in Cairo Press. This is an excellent children’s version of "Tales from Ancient Egypt" (reviewed in AE30) with line illustrations by Julian Heath. The stories are re-told here with a younger audience in mind and are clear and precise, The use of some simple line drawings to illustrate the stories is also useful and there is also some good background information to the stories. Published by the Rutherford Press. Another of the large, now familiar, publications by White Star, where the superb photographs say it all, as the text is almost minimal. All the main pyramid sites are included, plus a few of the less visited-sites like South Saqqara and Lisht. It is not just the pyramids that are illustrated, but many of the tombs associated with the various pyramid sites. The opportunity has also been taken to include many museum objects found at the sites. My only criticism with this volume is that the exterior shots have almost too rich a colour and the stone and desert appear very brown and much darker than in reality. The interior shots of tombs are truly splendid, as are the images of museum objects, and can probably never be beaten for clarity and detail, If you have visited the pyramid sites, then you will enjoy this book, especially the many views from the air, which add a new dimension to them. Published by White Star Publishing. White Star has already published separate and larger volumes on the Egyptian Museum and the Treasures of Tutankhamun, full of fabulous images of the objects. The Publishers are clearly keen to use the images as much as possible, and this large format volume is an "edited highlights" of the collections in the Egyptian Museum. If you already have the two volumes mentioned before, then this volume will be unnecessary, for most (but not all) of the images will be familiar; otherwise it is an excellent book, and the detail, quality and richness of the images, will amaze you and guarantee a visual feast. Over the last two hundred years, a vast number of books on ancient Egypt have been published. The end of the nineteenth century saw the beginning of the publishing of excavation reports, which include many of the great Egyptological discoveries.. These books are still major reference sources today, but are very difficult to obtain or access. Only specialist libraries have copies, with limited access to students, and if they do ever appear in bookshops, then the prices are often prohibitive. Yare Egyptology has the answer, which is to put the out-of-print works onto a CD-ROM. This is possible thanks to PC technology. Titles which are now out of copyright (which lasts seventy years from the death of the author) have been scanned and are available as PDF files on a CDROM which can then be read on your PC. Several book can be included on one CD. The CD I have includes two titles by Jacques de Morgan on his discoveries at Dahshur, published in 1894 and 1895 respectively, plus a title by Daressey on his discoveries in the Valley of the Kings 1898-99. You will need a version of Adobe Acrobat Reader (which can be downloaded from the Internet free) to view the titles, but the scans are clear and the text and images can be read and viewed perfectly clearly on screen. As a information source, this is every bit as good as the "real" thing, and far more convenient. This technology means that titles by Egyptologists such as Petrie, Naville, and many other pioneers are now available for study or reading for pleasure at very reasonable prices. Individual prices vary, but are usually around £10 a title, and it is usual and more cost-effective to include several titles on one disc. For a full list of titles available and prices, contact Yare Egyptology, 117 Droitwich Road, Worcester, WR3 7JE. Michael Tunnicliffe, who lectures on and studies the subject of Egypt and the Bible. Peter Clayton, who is a well-known author of books on ancient Egypt and is the Consulting Editor of "Minerva" magazine. AE welcomes suggestions from readers of any books to be reviewed. 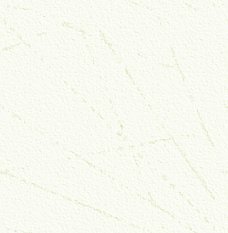 We also welcome reviews from readers, of non-fiction or fiction titles. Please contact the Editor if you are interested in contributing to the magazine in this way.